NAME OF THE PRODUCT: Qraa Men Red Onion Oil. PRICE: Rs. 799 for 100 ml. 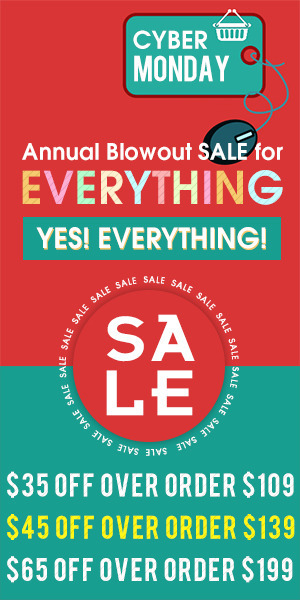 AVAILABILITY: Available all across retail, modern outlets and e-commerce portals. Qraa Men has introduced its Red Onion Oil which is enriched with the goodness of Onion to assist men with several hair problems. The Red Onion Oil has been enriched with Jojoba Oil, Argan Oil, and Black Seed Oil to have long-lasting and effective results. This oil is congruous for those men who crave exceptional looks. This oil helps in treating several hair problems and also helps in preventing and fighting off various hair problems too. The benefits of Red Onion Oil help in strengthening the hair follicles and provide the hair with abundant nourishment and care. This oil minimizes hair breakage and thinning due to its rich Sulphur Content. This also fights dandruff, accelerates hair growth, increases strength and volume, reduces greys and gives protection against lice. 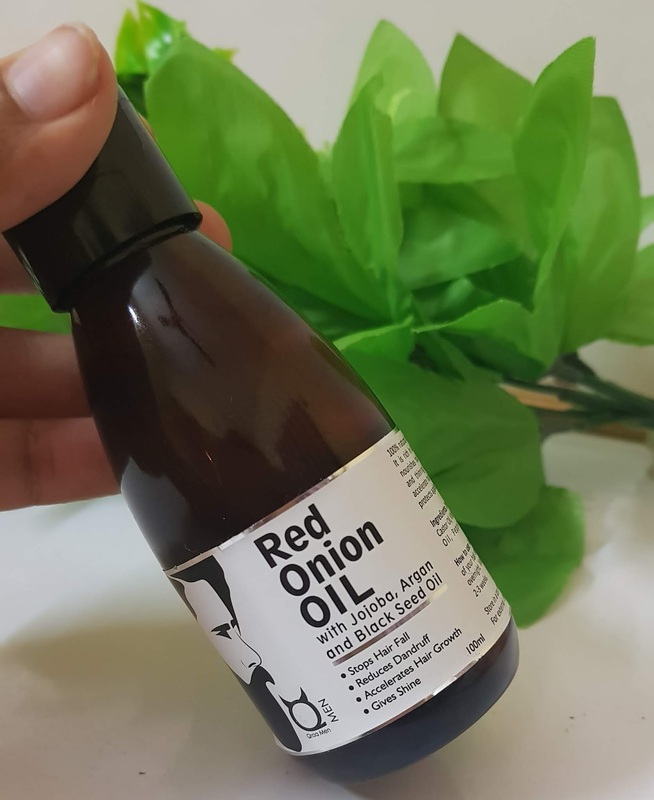 Red Onion Oil is a 100% natural ready to use Onion Oil and is a complete food for hair and scalp. It is rich in sulfur and also contains Vitamin A, C, E, and B-Complex. Onion Oil nourishes hair follicles and restores the mandatory nutrients required by the scalp. This oil must be used daily for a minimum of 2-3 weeks for better results. 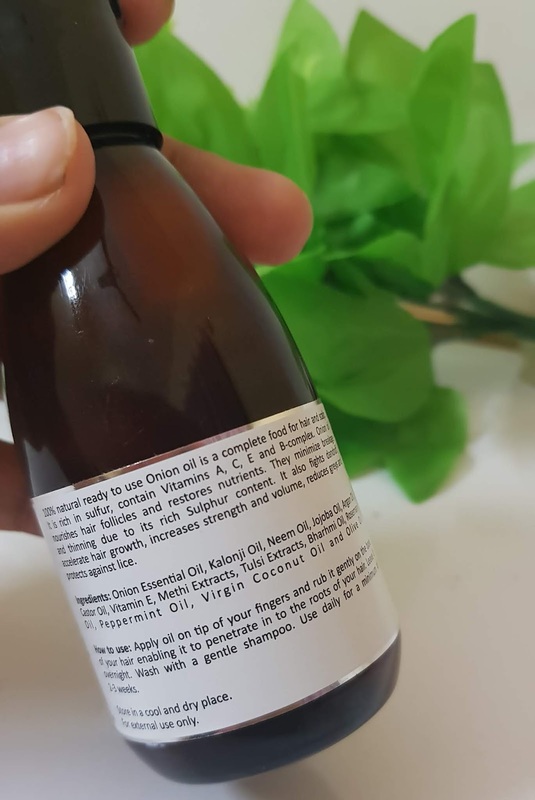 This oil also has several other ingredients like Onion Essential Oil, Kalonji Oil, Neem Oil, Jojoba Oil, Argan Oil, Castor Oil, Vitamin E, Methi Extracts, Tulsi Extracts, Bharhmi Oil, Rosemary Oil, Peppermint Oil, Virgin Coconut Oil and Olive Oil. I have been using this on my husband since few weeks and came to the following conclusion. Definitely, such products need patience as their effects will show up on prolonging usage. As I have to jot down its review, below will be the verdict of it with few weeks of usage. 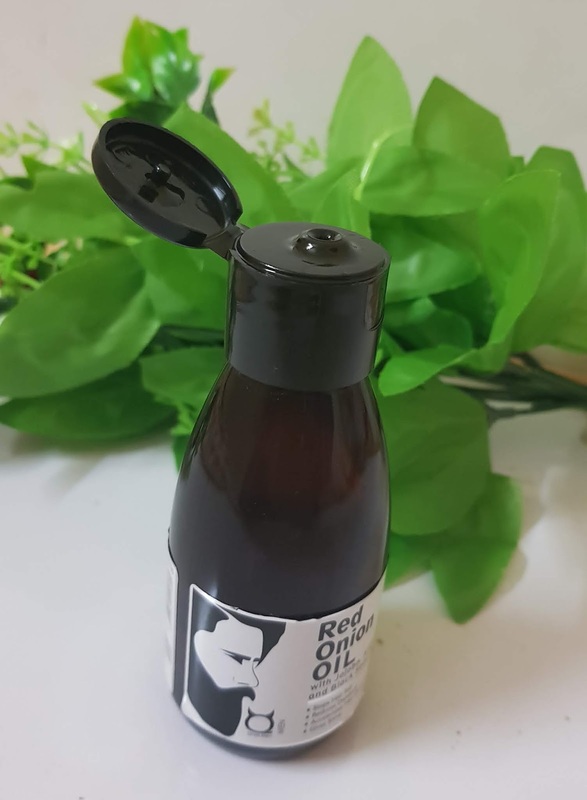 Qraa Men Red Onion Oil comes in a brown bottle with a black flip top which shuts tightly. The bottle is cute and it travel-friendly. 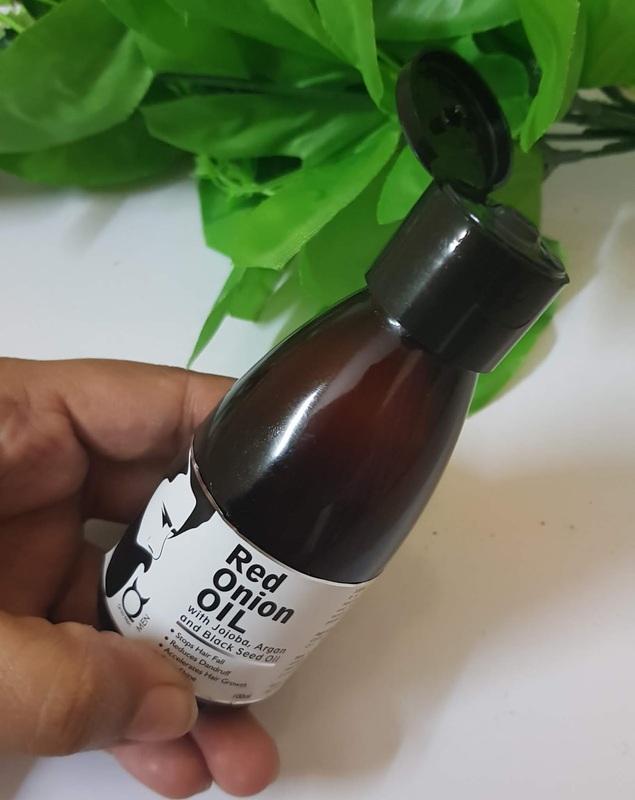 The Onion oil is unlike any other oil, transparent and runny and does have a mild smell of a mixture of jojoba and Argan which smell good to my senses, not at all overpowering. The oil spreads easily and get absorbed into the scalp and is non-greasy. 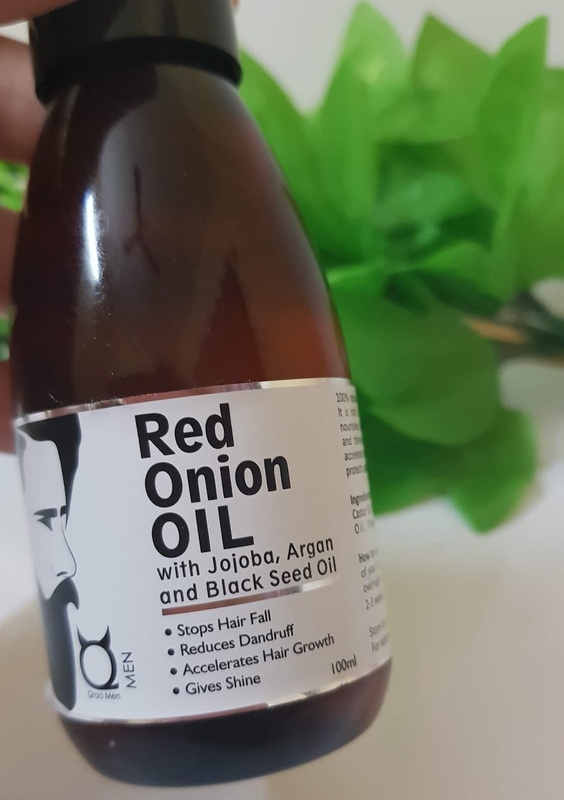 It has the goodness of red onion, jojoba, argan and black seed oil which generally deals with all the problems associated with the hair health. The nourishment provided by the Onion stops hair fall, reduces dandruff, accelerates hair growth and gives instant shine to the hair. I did find a decrease in hair-fall to a little bit extent and decrease in dandruff too. Spreads easily on the scalp and gets absorbed quickly. Gives shines to the hair. Reduces dandruff and hair-fall to an extent. It needs patience to shows better results. 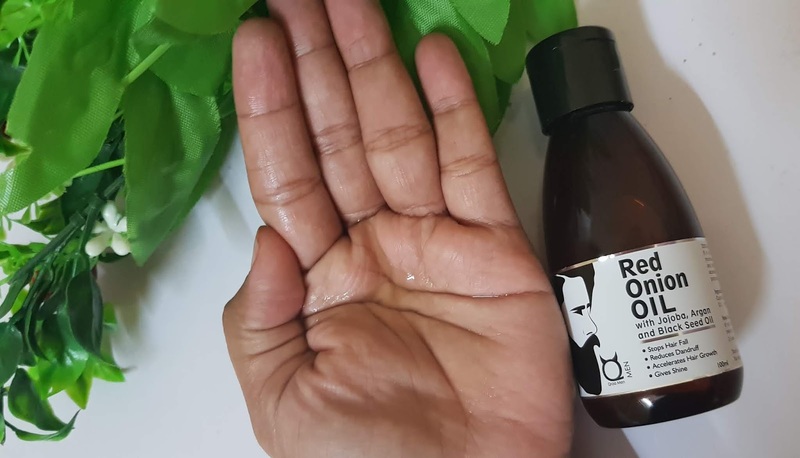 Qraa Men Red Onion Oil is quite a promising products to the all hair concerns of men out there which are loaded with very good ingredients and needs consistent usage to shows better results which stops hair fall, reduces dandruff, accelerates hair growth and gives shines etc. IBN RECOMMENDATION: Yes, as it got the goodness of red onion, jojoba, argan and black seed oil.